*Available in 5 and 6 string models only. 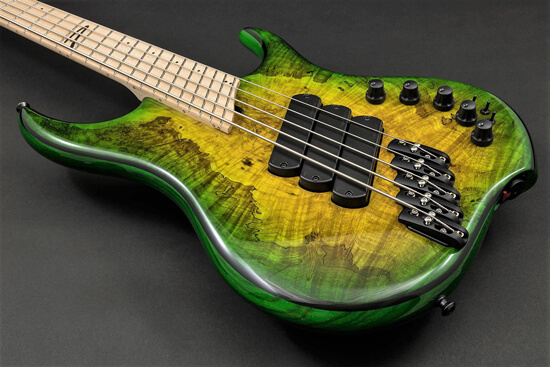 Dual-density: High density Swamp Ash on the bass side, low density Swamp Ash on the treble side. We have a huge range of available colors. Please refer to our photo galleries and price list for available colors and styles. Please note that for colors to be as bright and punchy as possible, pre-bleaching of the wood is often necessary. Angled headstock, 5-piece laminated maple - Wenge optional. Dual carbon fiber reinforcements are standard in the Z models. Headstock design – Angled (compound). If you build a fanned-fret neck with a traditional headstock angle there will be an odd looking triangle between the nut and the end of the fingerboard. It will also be difficult to position the treble tuners close to the nut for a compact headstock and best balance. We figured out a better way. If you look closely at the angle of our headstock, you will notice that it’s actually a combination of two angles. This adds considerable complication to the construction process but enables a perfectly linear string path to the tuners, compact design and no telltale triangle behind the nut. All Z-series headstocks feature a matching face veneer cut from the same veneer as the top for a perfect match. 3 mm pearloid face and side dots with D at 12th fret and headstock. Bars or Pearloid Blocks available. Speedo Bars. The Super-Fatty pickups including the shells are made right in our shop here in Canada. The Super-Fatty pickups including the shells are made right in our shop here in Canada. They feature an end to end humcancelling coil array with neodymium magnets and hardened steel poles. The coils are noise-symetric/tone-asymetric, which means they maintain near-perfect noise rejection with increased low-end clarity. They have been designed to combine Super clarity on the B and E strings with increased warmth and Fatness on the D and G-strings. They feature 4-lead wiring which enables the internal coils to be wired in either series for strong mids and high output or parallel for scooped mids and normal output. The Z1 pickup spacing is modeled after the J style bass. The tone combinations will be familiar to anyone used to a J style bass. 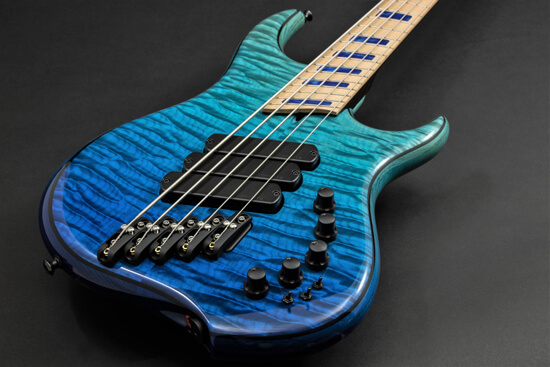 The Z2 spacing features two pickups grouped together in the sweet-spot. The tone is more focused in the mid-range than the standard spacing. This tone will be familiar to anyone used to a MM SR tone. 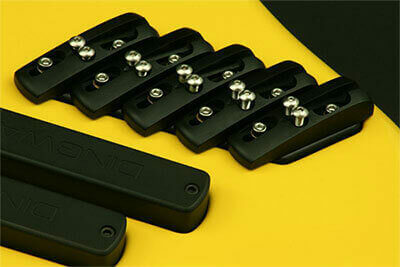 The Z3 is a 3 pickup system that combines the Z1 and Z2 pickups. 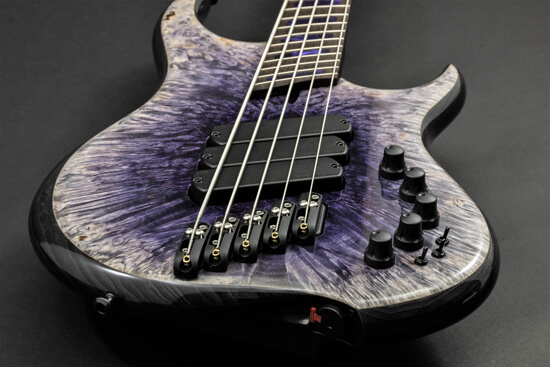 This system provides the ultimate in tone-shaping versatility. 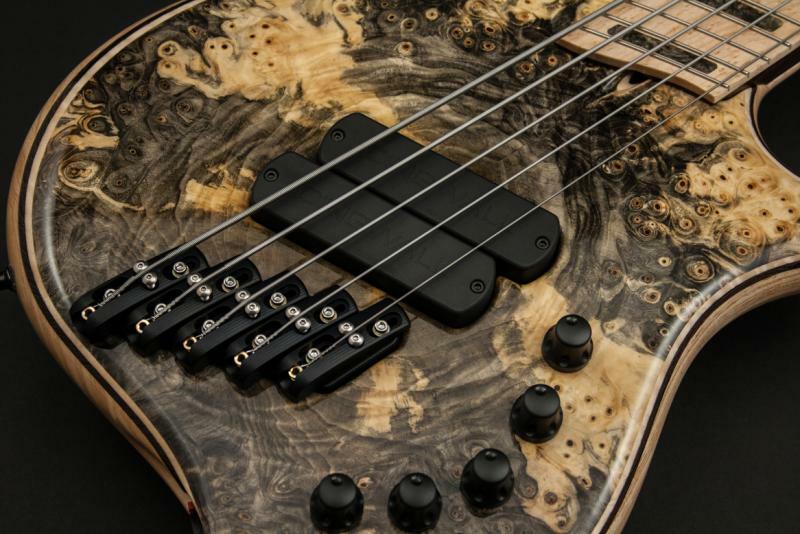 Almost any bass tone you can think of is available at your fingertips. Active/Passive Glockenklang 3-band. Hybrid active/passive treble.